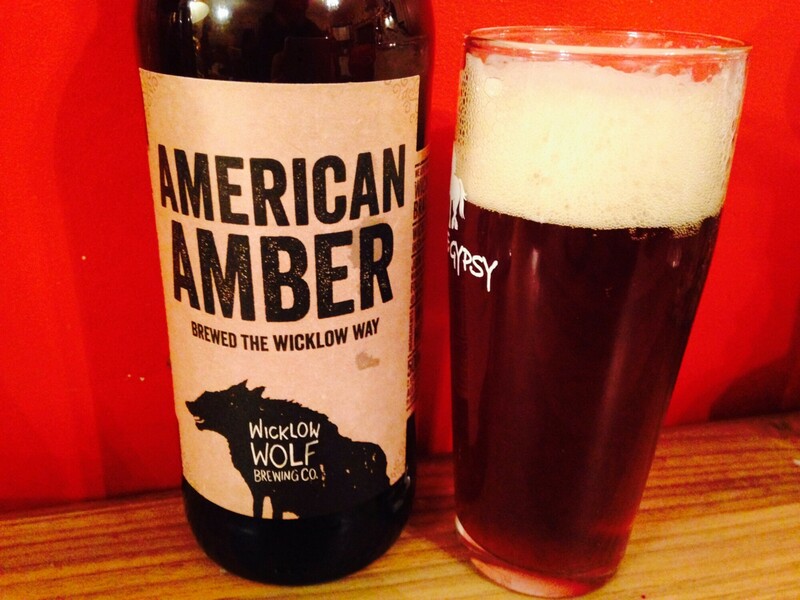 The Wicklow Wolf’s Lupine Howl : Two more of their beers | Simon Says… You really should drink this! 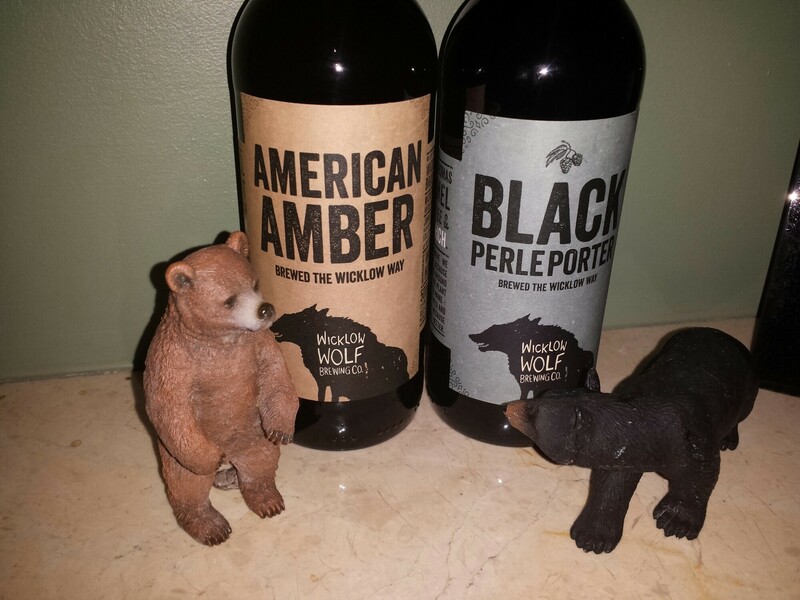 Last night I had a pair of beers from the Wicklow Wolf Brewery. Well I did after I managed to rescue them from these tiny but fierce bears. The American Amber is brewed with those lovely juicy citrussy Citra hops and there is a sweet malt backbone. It’s a beautiful rich colour as well which adds to the enjoyable drinking experience. I also cracked open a bottle of the Black Perle Porter. The Perle in the name refers to the German hops used in the brew. It also has some chocolatey dark malt. It’s a little chewy and has some coffee like bitterness. It’s a very satisfying Porter. I had it with a rich tomato bisque topped with some torn basil. And a toasted ham and cheese sandwich. (I’m sure I could make that sound posh if I put my mind to it!) 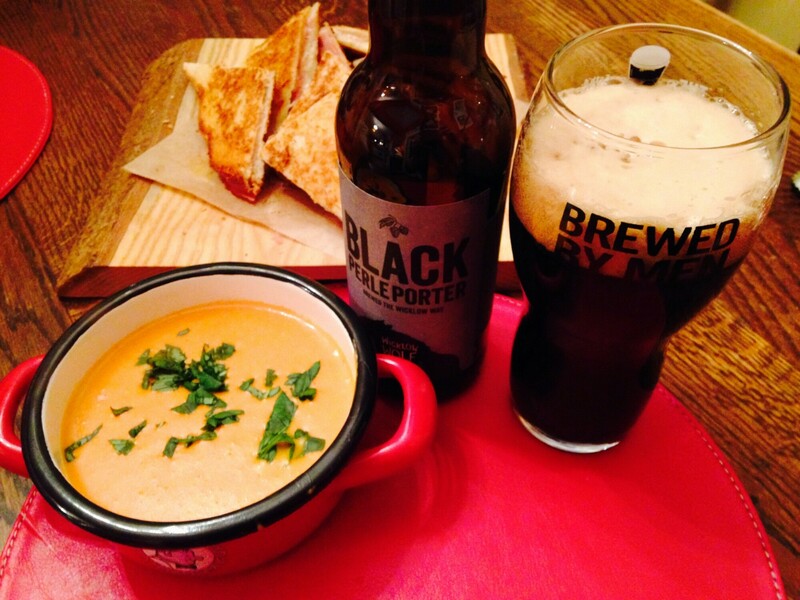 Classic Winter comfort food with a great beer. Sláinte! These beers are available now in O’Brien’s. This entry was posted in Uncategorized and tagged Amber, Beer, food, irish craft breweries, Porter, soup. Bookmark the permalink.